I am worried that my pet will be anxious if I leave it at the clinic for anesthesia. If your pet has separation anxiety or gets very stressed when handled at the vet clinic, please let us know when you book the procedure, so that measures can be taken to minimize its anxiety. We treat our patients as we would our own pets and want them to have as little stress as possible both before and after their anesthesia. Will my pet be groggy after its surgery? Some grogginess is to be expected for the first 24 hours after anesthesia. We monitor each patient’s recovery and ideally like to see them walking, eating and going to the bathroom prior to discharge. Monitoring them also gives us the opportunity to looks for signs of pain; we can give them more pain medication if needed. Does my pet need to stay overnight? After surgery, it is very important that a dog or cat is quiet and resting. We recommend overnight hospitalization for female pets after spaying and for cats after declawing. Those procedures are more invasive than neutering and require strict rest. If you prefer to take your pet home the same day, please discuss alternate options with a technician. Can I touch the incision? It is encouraged to look at your pet’s incision site twice daily until it is seen for its post-operative recheck 10-14 days after surgery. You may touch the incision while you are petting him, as he should have adequate pain control. If you notice any excessive pain, redness, discharge, odour, bleeding or gaping of the site, please call the clinic. If you see your pet licking its incision site, it will need to wear an Elizabethan collar (cone) or another form of barrier, such as a T-shirt. We need to prevent licking of the incision site, which can introduce bacteria and cause infection. Do not bathe your pet or allow it to swim until he has been seen for his recheck. How long does my pet need to wear the cone? A barrier should be in place to prevent a patient from licking its incision until the time of its post-operative recheck 10-14 days after surgery. Some pets are reluctant to eat while wearing a cone. If this is the case, the cone can be removed while the pet is supervised. How long does he need to be quiet for? What is “quiet”? After a surgical procedure, we strongly recommend that dogs be confined to a crate or small room and that cats also are restricted to a single room while unsupervised. Please ask a technician or veterinarian if there are any differing instructions. Can I take my dog for a walk after surgery? Your dog should be on short supervised leash walks, with the purpose of allowing it to go to the bathroom. Running, jumping and playing is prohibited. My cat/dog has not had a bowel movement since its surgery – is this normal? After fasting followed by anesthesia, your pet’s gut motility may be altered. Having softer bowel movements or 24 hours without a bowel movement can be normal as long as your pet appears comfortable. Please call the clinic if your pet experiences diarrhea. Can my pet eat the same evening after anesthesia? On the day of recovery (while the effects of anesthesia are lingering), it is best to feed your pet a light meal. If it has had tooth extractions or mouth surgery, you will be given instructions to offer canned or moistened kibble for several days. Please call the clinic if your pet does not want to eat, seems painful or vomits after eating. Why have I been told to finish all of these medications? My pet seems fine. Pain medication is prescribed preventively after surgical procedures. 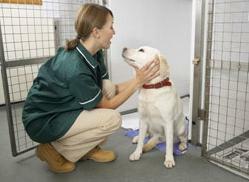 Your pet may not show signs of pain that are recognized by the untrained eye. We feel it is mandatory that your pet experience minimal discomfort during recovery and pain medication is prescribed for a very good reason. Pain medication is often used to reduce swelling and allow a pet to be comfortable enough to continue eating, interacting with its family and doing normal behavior. If pain is not controlled, the pet can experience delayed healing. Pain can also negatively impact a pet’s relationship with its family. If you have concerns about possible side effects of a prescribed pain medication, please contact the clinic. Antibiotics are prescribed to treat (or in some cases prevent) bacterial infections. Signs of bacterial infection include pain, swelling, discharge, bad odour, redness and heat, but these signs are not always obvious. Antibiotics are generally administered beyond the resolution of clinical signs. If a course of antibiotics is not completed, over time such usage can promote antibiotic resistance. Please consult your veterinarian before discontinuing prescribed medication. 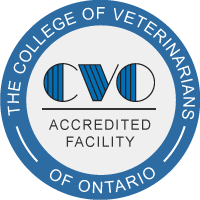 Lastly, if there are any questions you have regarding anesthesia or surgery that haven’t been answered by this 3-part blog article, feel free to ask a staff member at Coventry Animal Hospital. The goals of anesthesia and surgery for your pet are safety and extending or improving a pet’s quality of life.